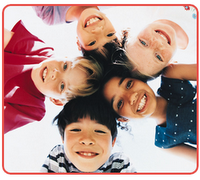 Pediatric Dentistry: Are we PALS? I just went with my pediatric dentist partners to take a PALS course in Memphis, Tennessee. PALS means Pediatric Advanced Life Support. It's sort of an advanced CPR. It was an interesting course where you learn a lot of things you hope you never need to use in an emergency. I do think we need the training. Although I have had ACLS in the past, this course is more suited to the pediatric age group. In addition, you never know when someone in the waiting room might have a medical emergency. I would hope it would only be used to buy time till the ambulance and paramedics arrive. We have physicians just next door to our offices as well. Now about the Memphis trip. This PALS course was in conjunction with the Tennessee Pediatric Dentist Alumni Association Annual Meeting. 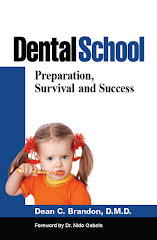 Yes, lots of pediatric dentists who graduated from the Univ. of Tennessee program. Three of my partners graduated from the Pedo program at Tennessee. (I went to the Univ. of Alabama and then LSU for pedo). For lunch we went to Huey's, a great hamburger place. That evening, we had a reception for newer pediatric dentists at the Rendezvous. That's a barbeque place downtown next door to the Peabody hotel. It's one of the restaurants where Tom Cruise ate in the movie The Firm. Most of the residents and most of the new graduates are now women! Yes, there seem to be more females in pediatrics these days. I have to say I like the change, although I wonder what that means for the "man" power situation down the road. I meet several great people there. Afterwards, we went over to Beale Street. There was a pub there called Silky O'Sullivans. They had two goats outside in a patio area. Don't ask me to explain that. There was a wild group of women having a good time there. They were singing, dancing, and having a great time. I discovered that these young ladies were residents of the Pedo program at Alabama! This was a great meeting. I'll have to do this again next time! im 16,two years ago i was smashed at my mouth my front teeth hurt me at the begining then it became blue untill now,i m afraid that my tooth won't recover.plz help me i m desprate. If a tooth turns dark after a trauma., it can be an indication of a "dead" tooth. A root canal may be needed to save the tooth. I'd see a dentist and have them check it out.